HK and Whampoa Dockyard – what happened to its famous Hammerhead Crane? Hugh Farmer: New information in red. 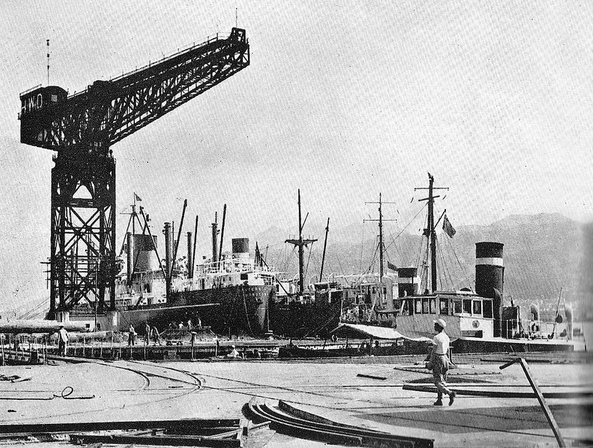 In 1932 Earle’s Shipbuilding and Engineering Company, Hull, UK, was acquired by National Shipbuilders Security and dismantled, with the yard’s fitting-out crane being sold off to the Kowloon (HK & Whampoa) Dockyard in Hong Kong. The crane was a landmark for many years both for seafarers entering the harbour and for those living in Hong Kong. HF: This image has been extracted from the 1940 British Pathe film, Civilians Evacuate Hong Kong, which you can see in full on Youtube. 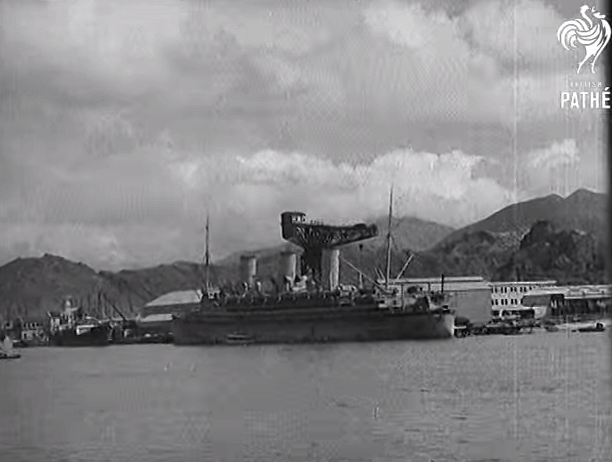 Despite attempts to blow it up both by the Japanese during the Battle of HK in 1941 and by allied forces during the occupation, it survived almost unscathed apart from slight damage to the crane’s tip from a bomb splinter. 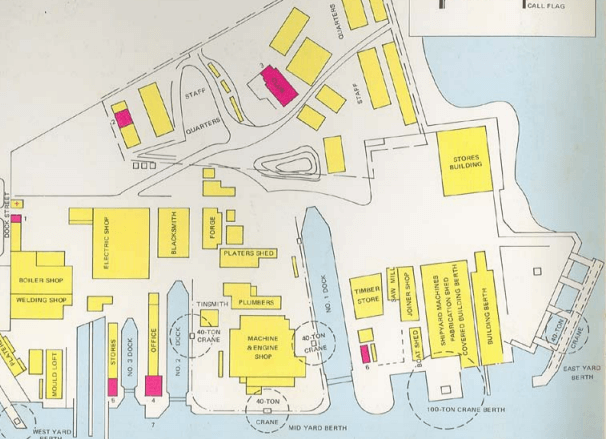 In 1973 HK & Whampoa and Taikoo Dockyards combined to become Hong Kong United Dockyards (HUD). And in 1980 HK & Whampoa Dockyard closed and moved operations to Tsing Yi island. But what happened to the Hammerhead crane – a powerful symbol of HK’s once impressive shipbuilding industry? This article was first posted on 22nd May 2015. I am very interested in HWD as I served my engineering apprenticeship there from 1947 to 1951. I am in the process of writing my memoirs of that period and would like permission to use these pictures, and anymore that may be available. Good to hear from you. The two images in this article are a) from Pathe films who you would probably have to approach yourself for permission to use and b) source unknown. If you are interested in other HK & Whampoa Dockyard images on the site perhaps you could contact me directly by the email address provided on the website. Good luck with your memoirs – if you could provide information about your time at HWD which I could post on the site I would be delighted to hear from you. Dear Sir/Madam, I would like to have information from you about the period between 6 May 1958 and 20 June 1958. That time you salvaged the dutch m.s Tjibantjet ( Royal Interocean Lines/ Java Congsi) from the slopes of Devil’s peak Junkbay HKG.